Why do you need chord formulas? Why do want to learn about them in the first place and what are their benefits? 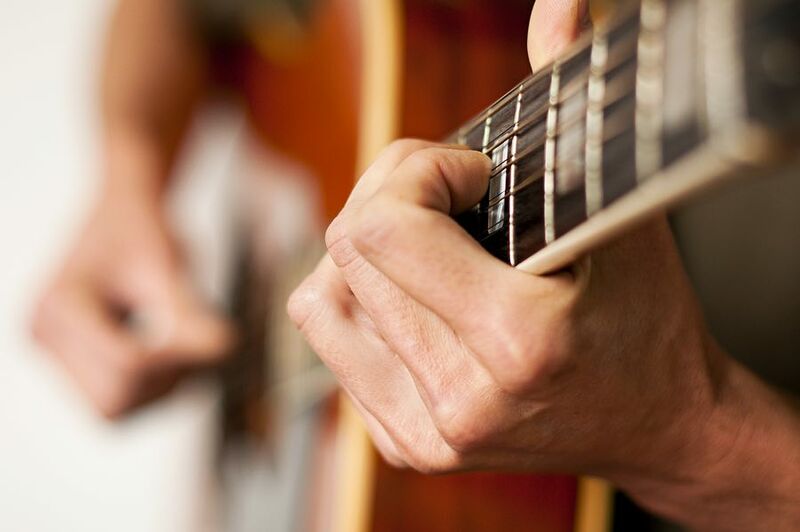 Knowing some basic chord theory can make all the difference to your playing. It makes guitar playing more fun, interesting and a lot of what you play will make more sense. The pieces of the puzzle will fall in place. Knowing how chord formulas work and knowing the notes on the strings is the ultimate combination. – Learn how to make your own chords. – Figure out how to play a chord when you only have the name of a chord. – Understanding the difference between chords like Dom7, Maj7 and min7. – Make a chord easier to play if your pinky can’t reach for the major 7 or any other nasty note. – Quickly turn a G major chord into Gsus4, G7, Gmaj7, G13 or any other variation you think of. – Learn to see how easy it is to change from major to minor or any other chord. – Apply the knowledge to your rhythm playing, songwriting, soloing and improvisation. – Discover how it relates to every aspect of guitar playing as your knowledge expands over time. Chord formulas reveals the chord structure. It shows all the notes that are played in a chord, in other words, which specific notes make up a particular chord. The notes in a chord are taken from the major scale. The notes below are from the C major scale referred as number 1 through 8. From 8 the notes repeat only an octave higher: 8, 9, 10, 11, 12 and 13. Here below you can pick a major scale key for the chords we’re going to build in the next section. To build a chord we need the chord formula and the major scale. Let’s build a C major chord. Let’s take the A minor chord for this example. The chord formula for a Minor chord = 1 – b3 – 5. Below you can see the most common chords and their chord formulas. I’ve taken the C root as example for all the chord names. 1 – What are the notes of an Am7 chord? 2 – Draw an Am7 chord diagram and write down the notes that are played on each string. 3 – Check if the notes from the chord formula and the notes in the chord diagram correspond. if all the notes from the chord on your guitar correspond with the notes from the chord formula. 5 – Write down the difference between a major chord and a minor chord formula? 6 – Write down the formulas for a Maj7, Dom7 and Min7 chord. What they have in common and what are their differences? 7 – Start with memorizing the formulas common chord types. Check out the brand new design for 50 COOL BLUES LICKS IMPROVISATION. It’s about time! 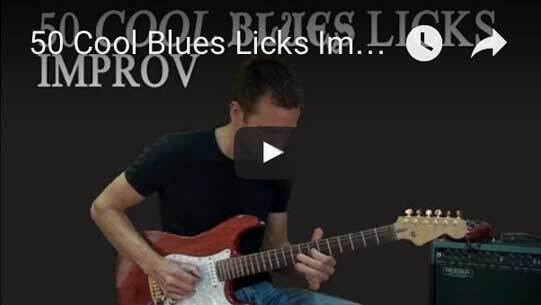 LEARN THE LICKS, THE SCALES, THE TRICKS AND HOW TO USE IT FOR IMPROVISATION. Awesome, it´s the most simple and complete explanation of chord building i´ve seen. How does scales relates chord progressions? Do all notes in a chord must belong to the scale to sound right? The scale determines which chords to use for a particular scale. For a start,it is good for a beginner to realize that 1, 4 and 5 carry major chords; 2,3 and 6 carry minor chords and 7 carries diminished. It works perfectly for almost all songs; its a good starting point. Well it worked for me.